All the Power, Half the Noise! The AIRCAT 1200-K is a no non-sense, hard hitting 1/2" impact wrench that outperforms anything in its class! Excellent truck and equipment gun. The AIRCAT tool line has a substantially reduced level of noise while retaining more power and torque. Our tools have been tested & shown to operate at 82-86 dBa (decibels), far below the OSHA guidelines. This feature benefits not only the mechanic but also the overall business. The patented tuned exhaust muffler technology, in all the tools, allows discharged air to pass without developing back pressure, thus retaining more power, while significantly reducing noise. 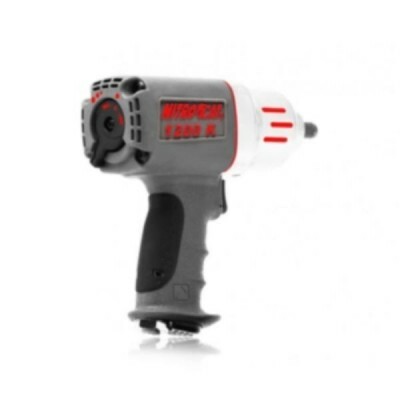 Most Powerful 1/2″ Impact in its class! This twin clutch unit is better suited for heavy duty (frame work, medium to heavy duty trucks).